© 2001. Published by Canadian Human-Computer Communications Society. ISBN 0-9688808-0-0. 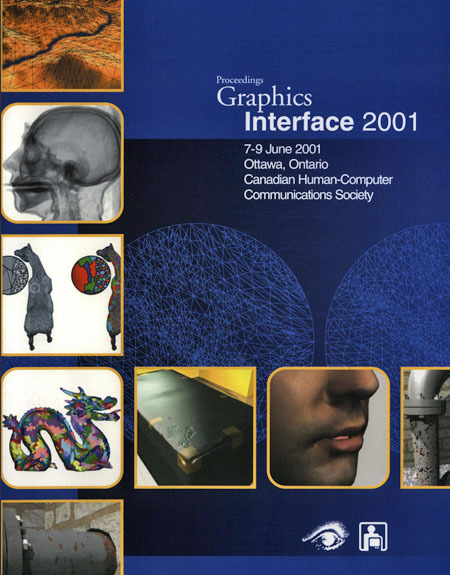 The 27th Graphics Interface conference had its homecoming in Ottawa, returning to where it began in 1969. Once again, Graphics Interface is being held in conjunction with the Vision Interface and Artificial Intelligence conferences, in an effort to promote the interchange of ideas and raise the profile of these conferences.Rob Jacob, Sara Diamond, and Ken Perlin presented their thoughts on topics of interest to the Graphics Interface community. Interactive Volume Rendering based on a "Bubble Model"